Finally, you’ve found a Party you can vote for! 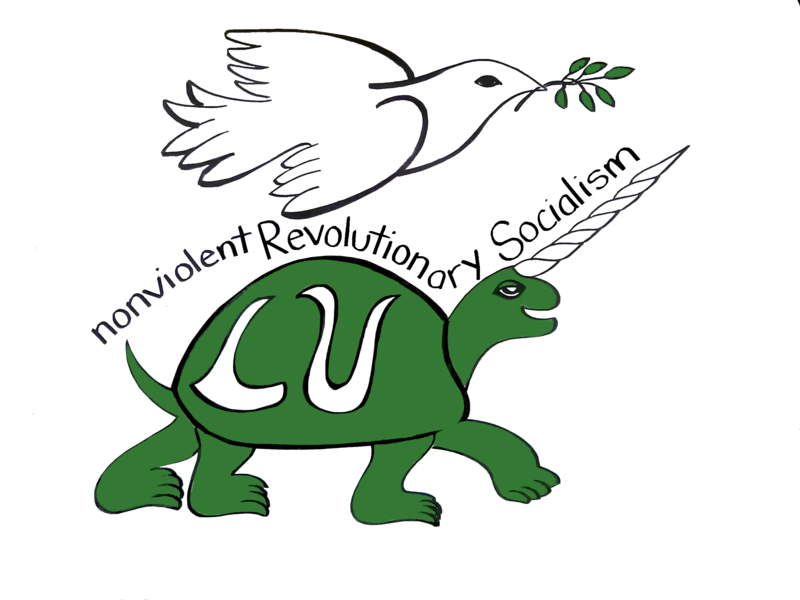 The Liberty Union Party of Vermont defines itself as a nonviolent socialist party. In 2004 the Liberty Union Party had candidates for Vermont’s US Senate, US House and Governor positions, and has, over the years, selected its various Presidential candidates from several national Left political parties. We provide a unique service to voters. We owe it to them to provide candidates that offer a socialist alternative. That seems to me to be the principal purpose for socialists to use the political process. Electoral politics is never the leading edge of change. Electoral politics is not useful for seeking elective power to create change. Electoral politics is not a useful medium through which to “educate” anyone, except, perhaps, ourselves,-those who vote, and those who do not, mostly know what we know, even if survival needs compel them to deny and reject their knowledge. But in that supposedly secret place where employers, police, co-workers, drinking buddies, Elks, Rotarians, clergy & congregation, Chambers of Commerce leaders, etc., cannot intrude, we (socialist candidates) give voters the opportunity to allow their suppressed knowledge to surface, even for those few seconds it takes to pull the lever or make the “x.” And it is important that we make those opportunities consistently available, so that voters consistently experience, year after year, a moment of truth until it becomes a moment of self realization about human nature, quite different from that ground into us by every institution of capitalism. And at that moment, it may become impossible for the departing voters to permit the voting booth curtain to resuppress what they already know.